Each Employee needs to be set as to what Positions they can work. The easiest way to set these is by using the Employees Positions Grid, but you also can use the Edit Employee page to set them for each employee. 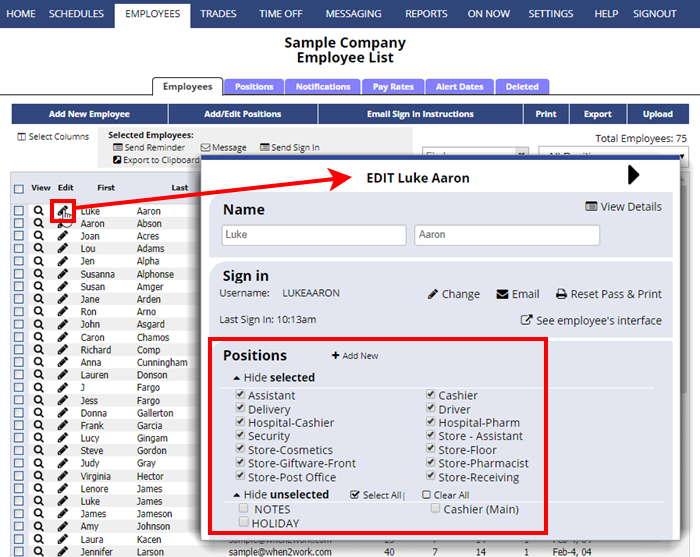 Optional – you also can set which Positions/Locations you prefer to have each employee to work. Only managers with permission to update employees can set Positions.